Healthcare - Phillips Murrah P.C. HIPAA concerns, established in 1996 and evolving ever since, continue to be a very real compliance concern for healthcare providers. As an example, last year HHS collected $28.7 million from providers of healthcare services and payors for responses to data breaches that HHS considered inadequate. According to Modern Healthcare, this is $5.2 million over the prior high for settlement and penalties reported in 2016. The data for 2018 may be skewed by the $16 million settlement by Anthem for a breach involving approximately 79 million people. That breach occurred in 2015, and the settlement was record-setting for the Office of Civil Rights. Changes being discussed by HHS include the possibility of sharing a percentage of civil monetary penalties or monetary settlements with affected individuals; revisions to HIPAA rules that facilitate the additional information demanded by coordinated care, outcome-focused care and value-based payments; and reconciliation of behavioral health care’s 42 CFR Part 2 rules with HIPAA. If you are concerned about how this issue affects your business or practice, contact Mary Holloway Richard, who represents and counsels clients on issues including healthcare compliance, health services contracting, reimbursement audits and appeals, OIG investigations, and regulatory and corporate matters. Mary can be reached at 405.552.2403 or at mhrichard@phillipsmurrah.com. Click here to view Mary’s Attorney Profile page. The following Oklahoma healthcare law topic regarding mentoring was featured in the June 2018 issue of Connections, the official publication of the American Health Lawyers Association. “Forewarned is forearmed.” I adopted that as one of my guides. Nowhere is that more true than in the mentor selection process within AHLA. I want to share some thoughts with you to make your selection more likely to lead to a meaningful mentor relationship to help you along your path in this broad, ever-changing field we have chosen. I am passionate about many things, including mentoring and AHLA. While I mentor within my state and community, the focus there is often on facilitating connections for young lawyers looking for a job or a career change. Within AHLA, mentors additionally provide a safe place to discuss difficult issues – both legal and human relations – as well as inspiration and support to other lawyers. We have the opportunity to help other health lawyers along their career path, and to learn from those mentees. Yet, while AHLA members may share similar passions and goals, that is not a strong basis for selection. Rather, there is a bit of magic to being selected. Obviously you need to be as transparent as possible about your goals, areas of interest (“Mentoring Topics”), and your member profile. As much information as you can share is important because you never know what it is that will draw a potential mentor to you. For example, in addition to substantive areas of health law of interest to me, I am interested in supporting young women balancing commitments to family, profession, and community. In reviewing recent mentee applications, I found that I connected with those who provided enough information so that I could connect with them., such as the young mother on the partnership track who still worked to contribute to her community and another who had moved from an in-house position to a private practice (as I did). Some of those who did not provide enough information in their profiles left me without a basis for connecting with them. I even suggested to some that they revise their profiles to tell their story and state their objectives more clearly. Your story is interesting so tell enough of it – education, family, job path, current position. Let prospective mentors get to know you a bit. Share your professional dreams, goals, objectives. Readers won’t know if they can be proper mentors without this information. Allow a prospective mentor to properly select you as his or her mentee based upon your objectives and common or complementary skill sets. You may also create a connection via disparate experiences and different skill sets, so pique the prospective mentor’s curiosity with sufficient information to determine if you two are a match. If you want someone to provide feedback about a specific area, such as interfacing with the FBI or handling OIG investigations, or if you want your mentor to assist you in connecting within AHLA, be sure to mention those goals. You must sell yourself truthfully, so don’t despair if it takes some time to connect with just the right mentor. Finally, once connected to a Mentor, engage with that Mentor. AHLA recommends quarterly contact as a minimum. The responsibilities to create a meaningful relationship belong to both parties, as do the benefits of the relationship. Mentoring is a two-way street, and you will get out of it what you put into it, but it will be much less effective and satisfying – for both the mentor and mentee – if you fail to provide sufficient information upon which to base the relationship. Mary H. Richard heads up the Health Care Practice Group at the law firm of Phillips Murrah, headquartered in Oklahoma City. Mary has a law degree from George Washington University and a master’s degree in public health administration from the Oklahoma Health Sciences Center. She began her career in ambulatory care, health services research, and health management consulting at the Texas Medical Center. She has practiced health law in private practice settings and as in-house counsel for the INTEGRIS Health system. While at INTEGRIS, she provided legal counsel on issues regarding behavioral health services, hospital operations, clinical research activities, and a variety of other topics in a number of facilities throughout the system. She is active in the AHLA and is a part of the AHLA Behavioral Task Force leadership. She served as subcommittee co-chair of the Providers/Clinicians subcommittee, Vice Chair of Publications, Vice Chair of Strategic Planning and Special Projects, and is currently Vice Chair of Membership. She continues to be active in the AHLA mentoring program by mentoring six young professionals and is an active mentor to lawyers in Oklahoma who are interested in health law. Mary is also a proud member if the Choctaw Nation of Oklahoma. Her grandfather was one of the first lawyers in Indian Territory. Mary Richard is recognized as one of pioneers in health care law in Oklahoma. She has represented institutional and non-institutional providers of health services, as well as patients and their families. Q: What attention has the FBI recently given to protect Protected Health Information (“PHI”) from cyber criminals? A: Under a “Private Industry Notification” dated March 22, the FBI’s Cyber Division has provided guidance that’s applicable specifically to medical and dental providers and focuses on protection of sensitive, identifiable health information. Q: What does the notice specifically recommend? A: The notification recommends these health care providers request that their IT services personnel take steps to further secure the information from cyber threats by checking networks for File Transfer Protocol (“FTP”) servers running in anonymous mode. FTPs routinely are used to transport information between network hosts. This is the case, for example, when a covered entity such as a hospital or group practice transfers information to a business associate, such as a billing company or a third-party payer, for the purpose of submitting claims for services provided. Q: What does “anonymous mode” mean and what threat does it represent? A: “Anonymous mode” refers to the situation where an FTP server can be structured to permit users who are anonymous, doesn’t require a password to enter, and accepts common user names such as “anonymous” or “FTP.” The danger is that, in such circumstances, sensitive patient information stored on a server could be accessed with little or no security. Q: Why does the FBI guidance focus specifically on health care? A: Research conducted at the University of Michigan in 2015 resulted in a finding that more than one million FTP servers would allow such access. According to the FBI, some computer security researchers seek servers in anonymous mode as part of legitimate research, but others make such connections to facilitate nefarious activities such as launching cyber attacks, hacking, blackmailing, harassing and intimidating business owners. It’s the FBI’s purpose issuing this new guidance to both make health care business aware of the risks represented in their IT systems and to shore up weaknesses that pose cyber security risks. In addition to the precautions urged in the notice, the FBI has previously urged companies to buy and implement ransomware. Q: Should additional actions be taken by medical and dental health care entities to provide additional protections against cyber crime? A: The FBI encourages medical and dental health care entities to report suspicious or criminal activity to the local FBI field office (locate via www.fbi.gov/contact-us/field) or the FBI’s 24/7 Cyber Watch, CyWatch 855-292-3937 or CyWatch@ic.fbi.gov. Submitted reports must include available information regarding the date, time, location, type of activity, number of people and type of equipment used for the activity, the name and contact person for the entity submitting the report. Victim complaints can be filed with the internet Crime Complaint Center at www.ic3.gov. Mary Holloway Richard is recognized as one of pioneers in health care law in Oklahoma. She has represented institutional and non-institutional providers of health services, as well as patients and their families. Mary Holloway Richard, Phillips Murrah Of Counsel Attorney and leader of the Firm’s Health Care Practice, was quoted in a Journal Record article by Sarah Terry-Cobo regarding an attempted merger by OU Medical System and how best to financially achieve that mission. OKLAHOMA CITY – When it comes to complicated relationships, sometimes it just takes the right partner. After a failed hospital merger was announced Monday, OU Medical System could still find its better half. But making that match probably won’t be easy, said industry observers. Health care attorney Mary Holloway Richard said a potential partner needs the business expertise as well as the financial backing to purchase a large teaching hospital. Richard said teaching hospitals have historically had higher costs than non-academic hospitals. A potential partner has to evaluate the economic feasibility, regardless of whether parties are considering an outright acquisition or a joint venture, she said. Read the full article at the Journal Record. By Mary Holloway Richard, Of Counsel for Phillips Murrah. This column was originally published in The Journal Record on January 18, 2017. Behavioral health is a unique subset of health care law. I long have been privileged to see firsthand the challenges in working as a therapist while successfully avoiding liability and regulatory land mines, and I am empathetic with patients and families. I believe it is important to provide protection from liability for therapists and to eschew expansion to predicting dangerousness of patients as the standard of care to which they are held. Therapists must adhere to standards of care that, when breached, result in liability to a patient for harm caused by that breach. Forty years ago the therapist’s burden was expanded to encompass a duty to warn third parties under certain circumstances in Tarasoff v. Regents of Univ. of California. Recently the Washington Supreme Court decided Volk v. DeMeerleer, expanding liability of mental health professionals to unidentified individuals. As in Tarasoff, reactions among states can range from adopting to rejecting the rule in response. Such decisions are framed in reliance on laws in other states, scholarly articles and treatises, such as the creation of post-Tarasoff California statutory immunity for the therapist’s duty to warn third parties. The Washington Supreme Court ruled in Volk that a psychiatrist could be liable for homicides even though the victims were not identified as targets of violence. The decision expands the scope of liability beyond the professional’s traditional duty to create a duty to identified third parties and may also result in expanding the rule from mental health professionals to other providers. It is true that the Volk case concerned the murders of a young mother and her son as well as the suicide of the patient who killed them, and we are all too familiar with the facts of Columbine and Newtown. And society must protect these individuals. We must balance the need to protect our communities from violence with the need to protect our providers from the reprehensible burden of liability for predicting violent propensities. The Washington Supreme Court stated that whether the patient’s violent actions were foreseeable should have been resolved by a jury and created instability concerning professional liability. It remains to be seen if this holding reflects a national trend of expanding the scope of liability for mental health and other health care professionals. 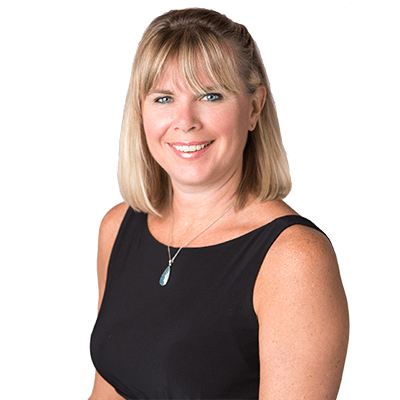 Mary Richard is a health care attorney with Phillips Murrah and a member of the Behavioral Health Task Force of the American Health Lawyers Association. Q: What should we know about decision-making in the future to care for ourselves? A: The mechanism for providing guidance to your health care professionals and to your family at the end of your life is a legal document known as an “advance directive.” The process of completing your advance directive is an important one because it makes you think about yourself in various end-of-life situations. You are telling your providers, in advance, what you will allow them to do, to the extent possible. Q: Is there a specific form for an advance directive in Oklahoma? A: Advance Directive forms are available at the Oklahoma Bar Association at www.okbar.org/Portals/14/PDF/Brochures/advance-directive-form.pdf. The advance directive statute requires that you must be 18 or older, of sound mind, and have two witnesses 18 or older and who aren’t beneficiaries of your will. The advance directive needn’t be notarized. It’s effective when your health state is such that your physician and another physician conclude that you no longer are able to make your own health care decisions. Q: What kinds of provisions can I make for myself with an advance directive? A: Advance directives provide treatment and care directions for three different conditions. You can provide directions to your providers when your condition is determined to be terminal. A terminal condition is one which, in your physician’s opinion, will result in your death within six months. You also can provide directions about your care when you’re persistently unconscious, which means that your condition is irreversible and you aren’t aware of your environment or of yourself. You also can provide your wishes for your care when you’re in an end-stage condition or an irreversible condition, and medical care would be ineffective. An advance directive also gives you the option of directing future artificially-administered food and water if you’re unable to take those by mouth in the three conditions described. You also can provide for organ donation in the advance directive. Q: What else should I know about advance directives? A: These decisions aren’t easy and it’s helpful if you involve your family in your decision-making so that they understand your wishes. Second, keep copies of your advance directives in a number of places and let your family members and loved ones know where they are so that guidance will be readily accessible when needed. Finally, under Oklahoma law, an advance directive for mental health also is available. Q: Is there a specific form for the advance directive for mental health? A: The Oklahoma Advance Directive for Mental Health form is found in our Oklahoma statutes, Title 43A Section 11-106. This advance directive allows you to provide for an alternate decision-maker for your mental health treatment. For the seriously mentally ill, this is important in terms of facilitating care when needed, at moments of crises. The advance directive on mental health becomes effective if the attending physician or psychologist determines that the ability to receive and evaluate information and to communicate decisions is impaired so that one lacks the capacity to refuse or consent to mental health treatment. “Capacity” is a determination made by the health care provider. On March 10th, the industry magazine, Modern Healthcare, posted news hot off the presses that a physician, Dr. Benjamin Chu of Kaiser, has been selected to be the CEO of Memorial Hermann Hospital in Houston. As I read this, I couldn’t help but remember my first job out of graduate school—the lowest level administrator at Hermann Hospital in Houston at the Texas Medical Center. I was responsible for ambulatory care at a time when layoffs in the emergency department and the outpatient clinics were required. It was quite literally a baptism by fire. I had come to that position from graduate school where I studied about the needs of the health care system—continuity, quality, cost effectiveness. This likely sounds familiar to you if you are involved in health care in any capacity. During my final semesters in graduate school, I interned at the Old University Hospital in what developed into the session in which the legislature refused to, once again, bail the hospital out in meeting its payroll. That unfortunately also sounds familiar. In the classes I teach at OCU law school, I remind my students, who are largely enthralled with the idea of a health care law practice, of the importance of understanding the language and limitations of the pervasive regulations, but also their history. It is important to have the context within which to place the regulations, statutes and case law that impact our providers. Similarly, I advise clients to look forward, to be proactive in their compliance efforts. It will be interesting to observe physician leadership in the Memorial system. You can read more articles by Mary Holloway Richard here. Mary Richard is a pioneer in Oklahoma health care law. She represents providers, patients and their families in a wide variety of transactional and regulatory matters. It plans to convene an outside advisory committee to seek advice prior to approving new opioids that don’t have abuse-deterring properties. It plans to convene a separate pediatric advisory committee to examine all proposed labeling changes related to children. The FDA also intends to strengthen follow-up studies to provide more insight regarding safety, effectiveness of opioid’s long-term use and to step up physician training in order to mitigate over-prescribing practices. Pharmaceutical companies will be encouraged to develop more painkillers that are less subject to abuse—difficult to break, crush and dissolve—and, therefore, more difficult to ingest quickly in large quantities by snorting or injecting. Finally, the agency will engage in efforts to increase access to naloxone and other treatments to counteract the effects of heroin and opioid overdoses. Some pundits suggest that this response by the FDA is designed to ease tense relations with senators and to prepare the way for confirmation of President Obama’s appointee for agency director. In the face of industry- and society-wide recognition of the “opioid epidemic,” even action potentially based upon self-serving agency motivation, if effective, will save lives and scarce resources. Consumers can search for doctors and clinical experts on a new product of Google called “Helpouts.” The trial is limited to symptoms related to common conditions or diagnoses and a wide range of pediatric concerns. Q: Is Google becoming a provider of health services? A: One new Google product, “Helpouts,” allows consumers to search for clinical experts and then to video chat with those doctors. This project is in its final stages, and Google is working with some existing medical groups who are verifying the credentials of the doctors who are participating in the trial. The trial is limited to symptoms related to common conditions or diagnoses and a wide range of pediatric concerns. One pediatrician, for example, is available for free consultations with the goal of eliminating gaps created by isolated visits in favor of applied multidisciplinary expertise. Not all of the offerings are related to health care and not all of them are free. Q: What’s the impetus for this expansion by Google and presumably other technology companies? A: A consulting company, PWC, has referred to this trend as a move toward “… building a new health economy centered around the consumer.” Stated another way, there are patient needs to be met and patient populations to be built by providers. This is likely to bring new players into local, state and regional health care communities who may position themselves to receive revenue from shrinking health care dollars. For example, Walmart is experimenting with health conglomerate Kaiser Permanente to access physicians via Skype in two of its California locations. 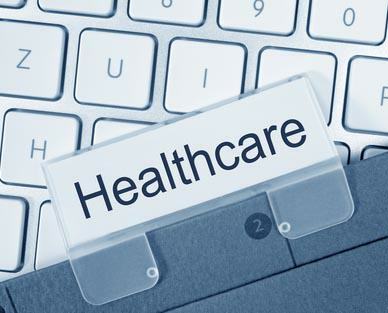 Providers who’ve petitioned the Department of Health and Human Services to allow Affordable Care Organizations to be reimbursed for “connect care” argue that it will improve quality and reduce costs. Providers participating in the Medicare Shared Savings Program can’t currently bill for services provided using advanced technology. Q: The Physicians Payments Sunshine Act (“Sunshine Act”) was passed with the intent of limiting the affect of prescribing and treatment practices by payments to providers by manufacturers or groups involved with product selection known as group purchaser organizations. Does this mean that payments to physicians are actually listed on this website? A: Yes, but the law doesn’t just apply to physicians. It also applies to dentists, podiatrists, optometrists and chiropractors. It doesn’t apply to medical or osteopathic residents, physician assistant or nurse practitioners. This information is reported annually by manufacturers and purchasing groups and is available to anyone on the Centers for Medicare and Medicaid Services (“CMS”) website https://openpaymentsdata.cms.gov/. The database is part of the Open Payments program created as a result of the Sunshine Act. Q: What options does a provider have if he or she believes that information about a reported payment is inaccurate or misleading to the public? A: There is a process by which physicians and other providers can seek to correct information they believe to be false. A dispute resolution process begins with a 45-day period during which a provider reviews and works with manufacturers or purchasing organizations to correct the information. During the following fifteen days, the reporting entity (manufacturer or group purchasing organization) can submit corrections to the Open Payments database. This combined 60-day period is the only time that corrections can be submitted by manufacturers and purchasing organizations. CMS will not mediate such disputes but encourages the parties to work together to resolve their dispute. You can see from this description that it is the physician’s or other provider’s responsibility to monitor this information on the website. Providers can locate relevant data by their names. Q: What kinds of payments are included in the CMS Open Payments database? A: First, it applies to payments by manufacturers. That means manufacturers of prescription drugs, biologic agents and medical devices and supplies. Second, it also applies, as I have mentioned, to groups formed to help providers such as hospitals, home health agencies and nursing homes save money and time by purchasing in volume and obtaining manufacturers’ discounts. These are the group purchasing organizations. Third, it applies to payments such as consulting fees, honoraria, food, travel, entertainment, education, research support, charitable contributions, investment interests, grant, and any direct compensation. That’s not even a complete list. Q: What is the impact of this database? A: Many physicians, dentists, podiatrist, optometrists and chiropractors regularly disclose to their patients their participation as lecturers, researchers and consultants to such manufacturers and purchasing organizations. Where that is the case, there is likely to be minimal impact from such information appearing on the CMS website. There a great deal of criticism of the Open Payments program, however. For example, a listing of a specific payment or group of payments may be taken out of context and appear unexplained and create in inaccurate impression and a negative response that is not merited. It seems clear that there will be continued refinement of both the regulations and the manner in which the data is presented to the public in the future. Federal law has a narrow definition of what animals can be considered service animals under the Americans with Disabilities Act. Q: Sunday is the 25th anniversary of the signing of the federal Americans with Disabilities Act (ADA). What animals are currently considered to be service animals? A: The definition of “service animal” comes from the ADA and includes animals individually trained to perform tasks for individuals with disabilities. As of 2011, Titles II (state and local government services) and III (public accommodations and commercial facilities) of the ADA recognize only dogs as service animals, although there’s a separate provision about mini-horses. In addition to service dogs, there are sensory or social signal dogs, psychiatric service dogs and seizure response dogs. Q: Do these rules apply just to hospitals or do they also apply to other types of facilities and providers of health services? A: The guidelines for service animals also apply to surgery centers, dental clinics, assisted living and long-term care facilities, and urgent care and outpatient clinics. The federal requirement is to allow service animals to accompany persons with disabilities in all areas of a facility or office where the public is normally allowed to go. It’s my experience that hospitals are better prepared than these other sites listed and physician offices to respond to these requests. Hospitals generally have policies and procedures that mirror state and federal laws and industry best practices. Q: Are there limits to these ADA requirements? A: When service dogs raise valid concerns about patient safety and quality of care, all providers in their distinct care settings will find it necessary to balance patient, staff, employee and public safety interests. Common valid concerns for institutional and non-institutional providers include infection control, allergies, animal control, safety of others, disruption of care or ability to safely provide quality services. An example of such a concern is a situation where a service dog’s presence is desired in a health care setting but there’s no one to provide the necessary care for the service dog. I also have encountered service animals with open wounds or otherwise in need of veterinary care that posed risks to patient care and to personnel that had to be considered. Another issue that has arisen is a service dog trained to be protective in a manner that impedes care by staff, such as a dog trained to place itself between the patient and others. An Illinois appellate court recently upheld a trial court decision granting summary judgment in favor of a hospital in a case where the plaintiff sought to limit a hospital’s statutory peer review immunity.1 Upholding a stringent standard imposed by the trial court, the appeals court ruled that the Illinois peer review statute requires pleading and proof of actual or deliberate intent to harm, or clear indifference to or disregard for, the peer-reviewed physician, along with resulting physical harm to the physician, and that mere harm to reputation is not enough. In this case, OB/GYN Dr. Valfer alleged merely that Evanston Northwest Healthcare (ENH) had failed to follow the proper procedures in dealing with him and that this failure had caused him reputational harm. The appeals court held that this fell short of the showing required to overcome the state law peer review immunity. Valfer’s medical staff privileges at ENH were renewed in November 2000 for one year and for an additional nine months in September 2001. He re-applied for privileges and was informed that issues had arisen requiring a review of his surgical procedures for the preceding 12 months. In June 2002, Valfer agreed to stop scheduling surgeries at ENH, and his operating privileges were suspended pending resolution of patient safety issues involving unnecessary procedures. Valfer was notified by the service chief that he would not recommend Valfer’s reappointment. In July 2002, the medical executive committee agreed with that recommendation and provided Valfer with written notice of its decision not to reappoint him and also notified him of his hearing rights. In 2004, an ad hoc hearing was held in which the service chief and another competing physician testified against Valfer. The decision not to appoint was upheld. Valfer appealed the decision to the appellate review committees; the ad hoc committee’s decision was upheld and was affirmed by the Board. Valfer continued to admit patients until the decision not to reappoint became final in March 2005. During the three-year period from Valfer’s final application for reappointment to the effective date of non-reappointment, no changes were made in ENH credentialing software, and he continued to be listed in “good standing” and to admit patients. In 2007, Valfer sued for civil damages resulting from ENH’s decision not to reappoint him. ENH filed a summary judgment motion seeking to dismiss the breach of contract claim. ENH argued there was no breach as ENH had followed relevant procedures and was immune under both the state statute2 and the federal Health Care Quality Improvement Act (HCQIA).3 The summary judgment motion was granted. On appeal, Valfer argued that there was, in effect, a reappointment by virtue of his continuing patient admissions and that this raised a question of fact as to ENH’s allegedly improper reliance on reappointment, rather than peer review, procedures. Valfer also characterized HCQIA immunity as limited to peer review and therefore not applicable because of ENH’s alleged reliance upon reappointment, rather than peer review, procedures. He argued that there was no peer immunity because of its willful or wanton denial of his privileges because of peer review by competitors. ENH responded in part that immunity under the Illinois peer review statute applied by virtue of the “willful or wanton” language and in the face of Valfer’s failure to allege physical harm to himself from the decision not to reappoint, and that the four statutory requirements for HCQIA immunity had been met. In upholding the lower court’s decision the appellate court focused on legislative intent and the clear and unambiguous language of the statute. By giving effect to all statutory language, the court concluded that Illinois statutory immunity exists in the absence of willful or wanton misconduct. 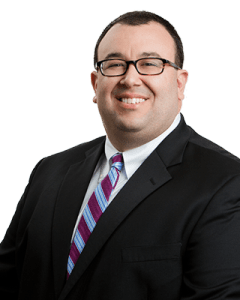 The plaintiff’s allegations of breach of contract by ENH for failure to follow the proper bylaws did not satisfy the statutory requirement of willful or wanton misconduct. The court cited precedent for overriding peer review immunity for civil damages where a defendant’s course of action demonstrates actual or deliberate intent to harm others or clear indifference to or disregard for a person and concluded that physical harm must necessarily be alleged and proved in order for a party to be civilly liable for peer review activities.4 According to the court, to require anything less, such as allowing damage to business or reputation to suffice, would make the peer review immunity meaningless and discourage such activities. 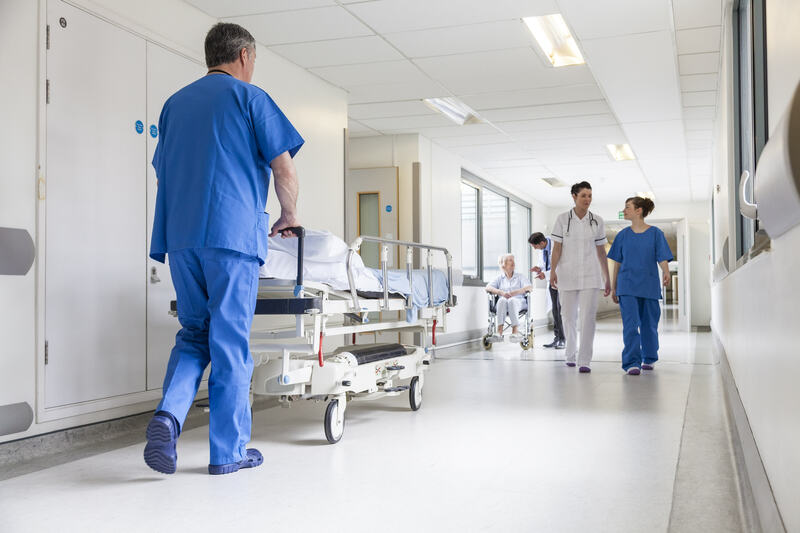 While parties often focus on HCQIA as the primary source of peer review immunity, this case illustrates that hospital counsel should not overlook the robust and vital protections that often co-exist under companion state law peer review privileges. 1 Valfer v. Evanston Northwest Healthcare, No. 1-14-2284, IL App (1st) 2015. 2 Ill. Hospital Licensing Act 210 ILCS 85/1 et seq (West 2012). 3 42 U.S.C. 11101 (2012). 4 Valfer at par. 29 citing Larsen v. Provena Hospitals, 2015, IL App (4th) 140255. On Thursday, June 25, 2015, the United States Supreme Court issued its long-awaited opinion in King et al. v. Burwell, Secretary of Health and Human Services, et al. .[i] The decision came the week before many of the nation’s foremost health care attorneys met in Washington, D.C. to share information, meet with regulators and network in the interests of their clients. As you might imagine there was significant discussion about the impact of the decision both in the contexts of formal presentations and hallway conversations. The decision in this case was considered by some attorneys and commentators to hold the key to the future of the Affordable Care Act (ACA). [ii] In the King case the ACA’s premium tax credits, as applied to federally financed plans, were challenged. The premium tax credits worked to reduce the premium amounts for nearly 90% of all persons who have purchased health insurance through the state health insurance marketplace, known as a “health insurance exchange,” which provides consumers the opportunity to compare prices and plans. 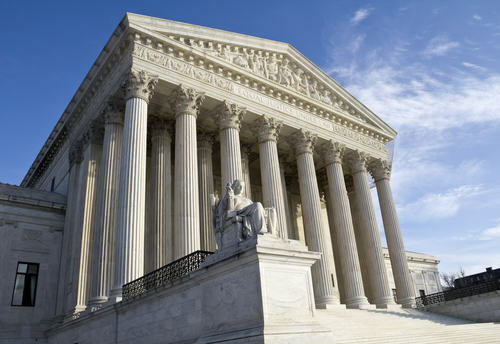 The Supreme Court’s 6-3 decision held that the premium tax credits at issue would continue to be available in the dozen or so state-sponsored exchanges as well as in the more than thirty states with federally sponsored exchanges operated by the federal government. The Court applied familiar theories of statutory interpretation to interpret the both the meaning of the statute and the intent of Congress to make premium tax credits available to individuals enrolled in insurance plans through both state- and federally-operated exchanges. The Court chose not to defer the interpretation to the federal agency responsible for enforcing the tax credit, the Internal Revenue Service. This is significant because it effectively forecloses the opportunity for any future administration to alter the interpretation to restrict the premium tax credits to the state-operated exchanges. Oklahoma is the site of a federal marketplace where, had the decision come down for the challengers, more than 87,000 persons would have been at risk for losing tax credits, and the state was at risk of losing over $18,000.00 in revenue, according to the Kaiser Family Foundation. [v] The average tax credit per Oklahoma enrollee is $209.00, and, without the tax credit, there would have been an estimated 243% increase in the average premium. At least while President Obama is still in office, the Court’s decision in King v. Burwell means that the threats to the ACA will mostly disappear. The national uninsurance rate is likely to continue to fall because the ACA incentives—the ACA requires individuals to buy health insurance or face a penalty on their taxes and helps them afford health insurance through the premium tax credits. Fewer uninsured presumably also means health care providers will have less uncompensated care. In the nation and in Oklahoma, we will continue, at least during this administration, generally to see a decreasing uninsured population and less uncompensated care for providers. However, all of this is in the context of complex, increased regulation such as the proposed regulations for both Medicare and Medicaid that were indirectly and directly respectively spawned by the ACA. The King decision, so long-awaited, appears to have deflated the opponents to the ACA for the time being. The Court’s decision also means that the next Presidential and congressional elections may be critical to the fate of the ACA as changes now would only be placed in motion by Congress. [i] 576 U.S. ____ (2015), No. 14-114, slip op (June 25, 2015). [ii] The Patient Protection and Affordable Care Act, 42 U.S.C. §18001 et seq. (2010). [iii] 567 U.S. at ___-___ (principal opinion) (slip op. dissent, at 2. Wellness is in the news again. Large employers have inserted wellness protocols and metrics into the workplace with great enthusiasm. Advertisements for webinars tout the importance of clinicians and counsel getting on the wellness bandwagon, and articles on the topic appear daily in local and national newspapers. Impact of economic status on health and ability to access to programs supporting lifestyle change (e.g., no time to attend a course or to exercise. Recently, the EEOC proposed a rule change in which it will reverse its own policy on whether or not employer-sponsored wellness programs discriminate against employees. The EEOC is now saying that such programs do not necessarily discriminate against workers. The agency also indicates that such employers have yet to show the financial benefits of such programs. The EEOC’s proposed rule change would allow for employers to decrease premiums as an incentive for employees to comply with recommended health screenings and to improve their health metrics without violating federal disabilities laws. A cap on an employer-incentive or penalty at 30% of the total cost of employee-only coverage under the plan. [ii] Total cost refers to employer plus employee contributions. Additional requirements for employers offering a wellness program in conjunction with a group health plan, including notice to employees of the medical information to be obtained and by whom and how the information will be used and how safeguards against improper disclosure. New confidentiality provisions to be applied to information obtained in wellness programs by sponsors or wellness vendor. The program itself must be created in such a way as to promote health status, prevent disease and not be overly burdensome on plan participants. This does not relieve the employers from compliance with HITECH and HIPAA and the Affordable Care Act. In addition and importantly, employers will be faced with differing requirements by the Internal Revenue Service, the Department of Labor and the Department of Health and Human Service — the agencies responsible for implementing the Affordable Care Act. These inconsistencies may be resolved at the close of the public comment period for these new EEOC proposed regulations. The period for public comment closes on June 19, 2015. [i] It is likely that most wellness programs will fit into this category. [ii] The Affordable Care Act’s non-tobacco incentive is held to the same limit for wellness programs including collection of health data. The additional cap in the proposed regulations is for the same amount for the tobacco incentive for participation-only wellness programs unless the employer does not fall within the purview of the ADA (less than 50 employees.) The policy ramification is that the EEOC does not distinguish between a tobacco-cessation wellness program where the participants are questioned about their tobacco use from one where a nicotine test is required of them to verify tobacco use or non-use. 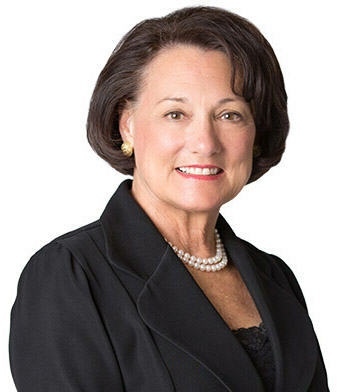 Author: Mary Holloway Richard is recognized as one of pioneers in healthcare law in Oklahoma. She has represented institutional and non-institutional providers of health services, as well as patients and their families. She also has significant experience in representing providers in regulatory matters. Click to see her attorney profile. Gretchen Latham, a litigator at Phillips Murrah law firm, talks about how physicians can recoup payment by making a claim to the state treasurer for unclaimed property. Gretchen M. Latham’s practice focuses on representing creditors in foreclosure, bankruptcy, collection and replevin cases. Q: I understand it’s becoming increasingly difficult for healthcare providers to collect fees from patients and third-party payers for services rendered. What can they do? A: Collection of these monies through the judicial system involves the filing of a lawsuit, and often times strict compliance with collection and privacy laws. And the time frame within which any significant collection activity takes place can be months or even years. Luckily, physicians, and nearly everyone, can make a claim with the state’s Unclaimed Property Fund to recoup funds in certain circumstances. Q: What is unclaimed property? A: Unclaimed property consists of obligations and liabilities for businesses which have been inactive, or have not been paid for a period of time. The funds may be in the form of a security deposit, an overpayment on an account, collateral pledged as security on a loan, payroll and wage obligations, or stocks and bonds. Q: How does property attain unclaimed status? A: When the rightful owner of the property fails to contact the holder of the property for a specified period of time, the property is considered unclaimed. A typical example is when an employee leaves his or her job prior to receiving the last paycheck, and there’s no forwarding address for the employer’s use in mailing final payment. Upon showing proof of ownership and making a valid claim, the state will relinquish the property to its rightful owner. Q: How does the state come into possession of unclaimed property? A: Holders of unclaimed property are required by law to make an annual report of the property being held. After the holder makes a diligent effort to contact the rightful owner both within and outside the state’s borders without success, the holder is then required to deliver the unclaimed property to the state treasurer. Q: Can physicians and other providers rely on this claim process for more than clinic visit charges? A: In the medical field, making a claim for unclaimed property can help physicians recover funds due them for a variety of reasons. Perhaps the practice has been sold and not all the funds due as part of the transaction have been paid. Although there’s no time limit on claiming the provider’s property, the sooner the claim is made, the sooner he or she will get paid. Mary Holloway Richard, Of Counsel to Phillips Murrah’s Healthcare Practice Group, has been appointed Vice Chair of the American Health Lawyers Association’s Behavioral Health Task Force. Richard was formerly a co-chair of the Providers and Clinicians Committee of the Behavioral Health Task Force. She has represented both institutional and non-institutional providers of health services, as well as patients and their families. Her career has included work at hospitals, outpatient clinics, behavioral health facilities and rehabilitation facilities and clinics. Richard will be participating in a panel discussion entitled “Hot Topics in Behavioral Health” at the AHLA Annual Meeting in Washington, D.C. in June, 2015. The Behavior Health Task Force was established by the nationwide professional organization to provide education for attorneys about the legal issues that arise in the provision of services to behavioral health patients and to alcohol and drug treatment providers and patients. Phillips Murrah healthcare attorney, Mary Holloway Richard published an article about the Sunshine Act in the May/June 2015 issue of the Oklahoma County Medical Society publication, The Bulletin. The Physicians Payments Sunshine Act (i) (“Sunshine Act”), despite its name, currently places no direct reporting requirements on physicians. Rather, the Sunshine Act requires that certain manufacturers of prescription drugs, biologic agents, medical devices and medical supplies (“Manufacturers”) and group purchasing organizations (“GPOs”) report to Centers for Medicare and Medicaid Services (“CMS”) payments in specified amounts (ii) and other transfers of value to physicians (iii) and to teaching hospitals (iv). In addition, ownership and investment interests in applicable Manufacturers and GPOs held by physicians (and immediate family members) must be reported annually by applicable Manufacturers and GPOs. Covered payments include cash (or cash equivalent, in-kind items or services), stock (including stock options or ownership interest dividend profit or other return on investment), and other forms of payment to be determined in the future by CMS. While it is not the physician’s duty to report, the reporting requirement directly impacts physicians who receive such payments as their names appear on a list on the CMS website accessible by patients and other consumers (v). The purpose of the Sunshine Act is to identify potential biases in physician prescribing and treatment practices, to reveal conflicts of interest for clinical researchers and educators, and to identify transactions in which payments involving potential referrals by physicians exceed fair market value. The Sunshine Act creates the Open Payments Program for the actual reporting of the financial payments and transfers of value to physicians. Currently the burden is on the Manufacturers to report payments for consulting fees, contracted services, honoraria, gifts, entertainment, food, travel, education, research, charitable contributions, royalty or license, current or prospective ownership or investment interest, grants, direct compensation for serving as faculty or speaking at a medical education program, and any other nature of payment or transfer of value as defined by the Secretary of the Department of Health and Human Services (“HHS.”) The form of the payment and the nature of the payment must be reported. See Table 1 below. Data has been collected since August, 2013, and is due to CMS by March 31 of each year. The first report was available to the public on September 30, 2014, and the 2014 report is predicted to be available on June 30, 2015 (vi). The regulations provide for a formal dispute resolution process whereby physicians can seek to correct inaccurate information. In September, 2014, representatives of pharmaceutical and biotechnology companies and organized medicine expressed concerns about the database and its presentation of data to the public in a potentially misleading manner. CMS shut down the Open Payments system for a period of time to address these issues. On October 30, 2014, CMS announced a procedure for Manufacturers and GPOs to report information not previously accepted by the system because of data errors, and CMS extended the reporting time accordingly. CMS has provided guides for Manufacturers to use to correct records and for covered recipients to correct information submitted in compliance with the regulations (vii). Registration with CMS to receive notifications and information submitted by Manufacturers and GPOs is voluntary. This information is now available on the CMS website, to public and regulators alike, but the website itself continues to present issues of accuracy and ease of on-line accessibility. Physicians and teaching hospital representatives have the opportunity to review and, if appropriate, dispute information reported about them in the Open Payments System (viii). The Manufacturer or GPO does not select the speaker or provide the third party, such as the CME vendor, with a distinct, identifiable set of individuals to be considered as speakers for the CME program (x). Other frequent questions concern Manufacturers providing meals and other event support and sponsorships to physicians. In this context the Open Payments program is very specific–e.g., where a Manufacturer’s sales representative brings a meal to a staff meeting or a community education event for a number of persons, the cost of the meal is divided by the number of persons who actually eat the meal and this benefit is reported only if it exceeds $10.00 per person. This does not include meals eaten by support staff. Financial support of buffet meals at large-scale medical conferences is not reportable. The “User Guide” for Open Payments published by CMS is over 350 pages long and provides additional guidance to those reporting and those reviewing reports. It is accessible on-line (xi). The Open Payments System is expected to significantly impact historic financial support of provider, patient and community education by industry. Importantly, these regulations and reporting requirements echo federal policy designed to avoid improper payments and incentives and market influence. These are the same concerns that spawned the expansion of federal antitrust, Stark and Anti-kickback law within health care. Ms. Richard is a health care lawyer at Phillips Murrah, P.C. in Oklahoma City and was formerly in house counsel with INTEGRIS Health, Inc. Consulting fee Payments made to physicians for advice and expertise on a particular medical product or treatment, typically provided under a written agreement and in response to a particular business need. These payments often vary depending on the experience of the physician being consulted. Example 1: Company A has developed a drug to treat patients with a particular disease and wants advice from physicians on how to design a large study to test the drug on patients. Dr. J has a large number of patients with this disease and has experience doing research on how well medicines work for this condition. Company A asks Dr. J if he would spend about 10 hours per month to work with other physicians to create a new research study. Dr. J agrees and is paid for his time.Example 2: Company C has designed a new tool for surgeons to use when they are doing heart surgery. The company pays some physicians to give the new tool a “test drive” on a computer-simulated patient at the company headquarters. The physicians are paid an hourly fee for their time testing the tool and giving advice on how to make it work better. They are also paid for flights, hotel rooms and meals. Compensation for services other than consulting, including serving as faculty or as a speaker at an event other than a continuing education program. Payments made to physicians for speaking, training, and education engagements that are not for continuing education. A physician who frequently prescribes a particular drug is invited by the company that makes that drug to talk about the medicine to other physicians at a local restaurant. The physician is paid for preparation time as well as the time spent giving the talk. Honoraria Similar to consulting fees, but generally reserved for a one-time, short duration activity. Also distinguishable in that they are generally provided for services which custom prohibits a price from being set. A medical device manufacturer representative goes to a medical meeting and asks some physicians there for an hour of their time to talk about features they would like to see to improve a particular device. This representative pays each physician a one-time honorarium. (i) The Physician Payment Sunshine Act is Section 6002 of the Patient Protection and Affordable Care Act, 42 U.S.C.§18001. The regulations can be found at: http://www.cms.gov/OpenPayments/Downloads/Affordable-Care-Act-Section-6002-Final-Rule.pdf. (ii) There are specific reporting thresholds for applicable manufacturers and GPOs. The Open Payments reporting thresholds are adjusted based on the consumer price index. This means that for 2015 (January 1 – December 31), if a payment or other transfer of value is less than $10.21 ($10.00 for 2013, $10.18 for 2014), unless the aggregate amount transferred to, requested by, or designated on behalf of a physician or teaching hospital exceeds $102.07 in a calendar year ($100.00 for 2013, $101.75 for 2014), it is excluded from the reporting requirements under Open Payments. http://www.cms.gov/OpenPayments/Program-Participants/Applicable-Manufacturers-and-GPOs/Data-Collection.html. (iii) This law applies to physicians and other providers, but, for the purposes of this article, we will only reference physicians. The other providers as defined in Section 1861(r) of the Social Security Act to whom this law applies include medical and osteopathic physicians, dentists, podiatrists, optometrists and chiropractors. Providers exempted include medical and osteopathic residents, physician assistants, nurse practitioners and allied health practitioners. However, in some circumstances, payments to these types of providers may be imputed to physicians, thereby triggering the Manufacturers’ obligations to report payments. (vii) The American Medical Association offers a toolkit for physicians to use in reviewing and dispute reports at: http://www.ama-assn.org/ama/pub/advocacy/topics/sunshine-act-and-physician-financial-transparency-reports/sunshine-act-toolkit.page? (viii) See Flow Chart 1 in content. Phillips Murrah’s Mary Holloway Richard provides medical providers tips for minimizing risk and damages related to health information breaches. Q: What do you recommend to hospitals, physicians and other providers to minimize the risk of a breach of confidential patient information and to lessen the degree of harm in the event of a breach? A: I recommend creation in advance of a response process to enable a rapid, sensible response. The goals in such a plan (“Incident Response Plan” or “IRP”) are to demonstrate compliance with HIPAA (Health Insurance Portability and Accountability Act) and HITECH (Health Information Technology for Economic and Clinical Health) regulations and to mitigate any harm that may result from the breach. Q: What specific steps should be taken to prepare for a breach? A: The first step is to create an IRP that includes all appropriate parties and to appoint someone in the practice or facility who is knowledgeable about HIPAA and HITECH requirements. The second step is to make certain that the process created is a quick, sensible one. In addition, information technology (IT) components, such as encryption throughout the process, are imperative. The safe harbor provision of the breach notification rule establishes a certain standard of encryption and relieves the provider from breach notification responsibilities if the protected patient information has been properly encrypted. Most breaches result from lost IT assets such as phones, laptops and iPads. Fourth, the IRP must be supported by sufficient employee and staff training. I also recommend that you adequately document that this training took place. Finally, insurance should be in place to provide for risk transfer as needed. Cyberliability is a continually developing area along with a range of products that foresee types of breaches and predict costs that may be incurred. Q: How do such losses occur? A: Along with loss of IT assets, misdirected faxes, disposal of nonshredded records, inappropriate disposal or destruction of paper, such as placing material in a dumpster without shredding and mailing patient information to incorrect address. Intentional loss or compromise of data can occur through a combination of IT and social engineering, such as where a person is tricked into clicking on a hyperlink or revealing a password. This occurs with Spear phishing or false emails inserting malware in a system and is very difficult to control. In the case of Cryptolocker, the perpetrator makes a threat and requires payment to restore prevention. This also is called ransomware and can make the system and information completely inaccessible to everyone in your organization, effectively stymieing patient care and business operations. (UPDATE) What does all of the talk in the media about the “SGR” mean for physicians? What does all of the talk in the media about the “SGR” mean for physicians? One of the important issues identified in the health care industry “crisis” and reform is the cost of providing services. Focus has been on shifting payment from charges for visits and procedures to reimbursement according to certain metrics such as outcome and quality. In addition, a ceiling on physician reimbursement has been much debated. The Affordable Care Act (“ACA”) included the Medicare sustainable growth rate (“SGR”) formula for doing just that, although the SGR was actually created as part of the 1997 deficit reduction law designed to contain federal spending by tying physician payments to an economic metric or growth target. On Tuesday, March 24, 2015, Democrats and Republicans revealed the result of their negotiation and cooperation to offer an alternative to Medicare’s SGR formula. The proposal calls for repeal of the SGR formula. House Speaker John Boehner (R-OH) and Minority Leader Nancy Pelosi (D-CA) have arrived at this compromise to strengthen the financial picture for Medicare and to end the continuing threat of payment cuts to physicians. According to the Association of American Medical Colleges, although medical school applications are up slightly since 2011, the United States faces a physician shortage of between 46,000 and 90,000 by 2015. www.aamc.org/newsroom/aamcstat/,a=427828. The economic incentives to the professional are an integral component in stabilizing the health care system in this country. The House overwhelmingly approved the proposal on Thursday, March 26, 2015. What does the SGR mean to physicians? There is still great divergence between the Boehner (repeal Washington’s most famous gimmick) and Pelosi (Medicare payments for doctor services to seniors facilitating continuation of physician-patient relationship) perspectives. What does the bipartisan proposal mean to physicians? This will halt the cut that was to be implemented on April 1, 2015. When the ACA was signed five years ago, that seemed like a long time away but was nonetheless worrisome. It puts in place a 21.2% reduction in Medicare payments making it virtually impossible for many providers to support the operations of their practices or clinics. On Friday, March 27, 2015, the Senate adjourned without approving the Doc fix. It apparently will take up the issue upon its return in mid-April. In the meantime, CMS is poised to delay processing provider claims as of April 1, 2015, when the 21.2% cut was to go into effect. However, CMS is warning that the cut will go into effect if the Senate fails to pass an SGR fix by April 15. One complication may exist in the form of legislation introduced by a bipartisan Senate team, Senators Cardin (D-MD) and Collins (R-ME), to permanently repeal the caps on how much the program spends on rehabilitation therapy. This unresolved issue may arise as an amendment to the legislation to be considered after the break and provides a reminder of how single issues or senators can ultimately frustrate the passage of legislation that has support from both parties. Others in the Senate are critical that spending cuts will offset only a portion of the costs. Conservatives have characterized this element of the plan as irresponsible. The AARP is focused on increased costs to Medicare beneficiaries and will continue to lobby for changes to lower these costs. Democrats may want amendments to extend the CHIP program four years, to remove the Hyde Amendment (abortion-related language), and to repeal the Medicare therapy cap. Any amendments would, of course, send the legislation back through the House, and this appears to be an unattractive alternative to all concerned because of the remarkable support for this resolution from both parties. A perhaps more significant complication is presented by the report issued last week by the Office of the Actuary of the Centers for Medicare and Medicaid Services (CMS) indicating that physician payments in which the 0.5% increases in Medicare payments over the next four years would come to a halt in 2020. In that year a two-tiered system is phased in which is designed to encourage physicians to shift greater numbers of patients into risk-based models. For physicians continuing to work within the traditional payment system, but who are scoring well on the quality metrics, remuneration will be awarded from a separate appropriation. After 2024, the alternative payment track would increase annually by 0.75% which will be three times greater than the rates of other physicians. CMS is predicting that 2024 is the time when there will be a shortfall and payments will lag behind inflation. On the one hand, Congress is fed up with required annual intervention for the past seventeen years to avoid scheduled cuts to physicians. On the other hand, Congress is forced to rely on estimates to predict costs which places the federal government at risk of future payments not keeping up with the either the chosen formulae or with inflation. https://i1.wp.com/phillipsmurrah.com/wp-content/uploads/2015/03/Mary-Richard.jpg?fit=340%2C392&ssl=1 392 340 Dave Rhea https://phillipsmurrah.com/wp-content/uploads/2014/11/pmlogo-web-logo-300x61.png Dave Rhea2015-04-14 10:20:282018-02-12 16:39:02(UPDATE) What does all of the talk in the media about the “SGR” mean for physicians? 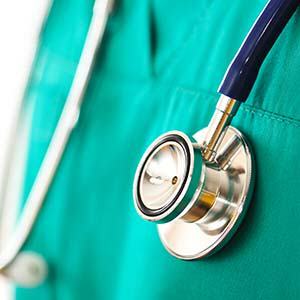 WalletHub released its list of the best and worst states for physicians based on several metrics, including wages and job opportunities. Data for the report were taken from Citizen.org, Diederich Healthcare, HHS, the Missouri Economic Research & Information Center, the U.S. Bureau of Labor Statistics, and the U.S. Census Bureau. The trend toward decreasing costs in healthcare has seized upon value-based care – tying physician compensation to performance and outcome measures. These measures are also being used in contract negotiations with third party payors and healthcare plans. Counsel for institutional and non-institutional providers are at the table providing advice about a number of important contractual terms and their ramifications including appropriate and measurable metrics for calculating bonuses and penalties and, if shared savings are at issue, how they should be split. For those who have been involved in negotiations of traditional fee-for-service contracts, this will seem like a fundamental change. It may also seem like a change that narrows the potential for disputes. Are the metrics used as incentives or penalties? Are the selected benchmarks easily measurable and attainable? Do they raise regulatory issues such as potentially impacting volume in an unacceptable way or spawn any other results that could be construed to be anticompetitive? While these questions have yet to be answered by Oklahoma courts, we can look to decisions from other states and consider ourselves forewarned as to the nuances and potential pitfalls in negotiating and drafting these terms. OKLAHOMA CITY – Mary Holloway Richard has joined Phillips Murrah’s Healthcare team as an of counsel attorney. Richard represents both institutional and non-institutional providers of health services, as well as patients and their families. Her career has included work at hospitals, outpatient clinics, behavioral health facilities, and rehabilitation facilities and clinics. Prior to joining Phillips Murrah, Richard served as in-house counsel for Integris Health.